Tumblr is a social network, like a miniblog, founded in 2007 and owned by Yahoo! since 2013. Users can post text, articles, gifs, photos, music, links, quotes, and more. And share it with friends and other Tumblr users. 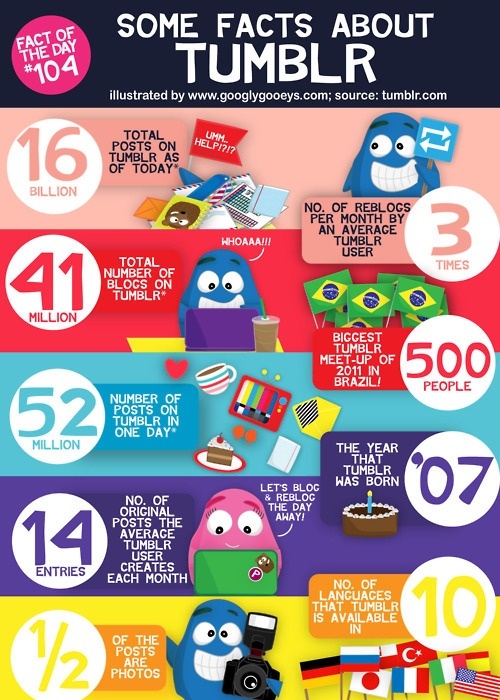 This infographics share with you some facts about Tumblr.